Is your garage door not working well, noisy or obsolete? We can help! We prefer Garaga not only for the multiple design options they offer, but also for the legendary quality of their garage doors. In order to stay ahead of the competition, Garaga is constantly developing new technologies to improve garage door quality, which has earned them the title "Leader of the Industry". All of the above features ensure remarkable insulation for your garage creating a very tight seal, thus making sure the overall temperature in your garage remains constant and avoiding air infiltration. A well-insulated garage also has energy savings properties. Keeping the heat in and the cold out means lower utility bills! 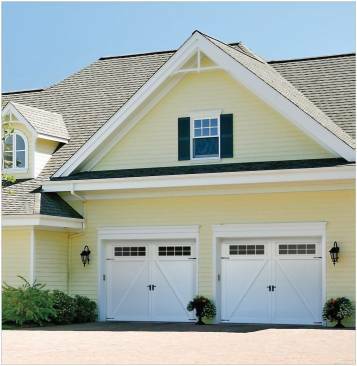 Although reasonably priced, a garage door purchase represents a significant investment for you. Therefore, you want the longest-lasting garage door on the market. Garaga doors are made of commercial-quality galvanized steel for durability and need very little maintenance. In addition to this, our 10,000-cycle torsion springs will provide many years of normal residential use. Garaga steel tracks have welded anchoring plates meaning no adjustments, also giving you many years of worry-free operation. 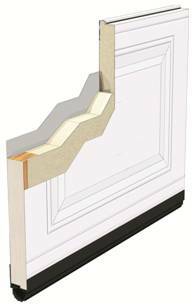 We personally want to invite you to view our videos to see why Garaga doors have superior performance! Garaga doors are the most durable doors in the industry; they are built with the highest quality materials to withstand harsh climate conditions. With heavy-duty tracks resistant to most winds and a reinforced structure, your new Garaga door will bring you peace of mind. Visit Garaga’s Image Gallery or their Design Centre to see a wide variety of styles, sizes and designs, and remember that Garaga doors are custom built to adapt to any garage door opening. We gladly offer estimates at no charge. Ask for your free quotation today!